Learn retriever training from Carr, who has over 80 field champions. 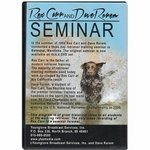 In the summer of 1994, Rex Carr and Dave Rorem conducted a three-day retriever training seminar in Balmoral, Manitoba. The original seminar is now available on this 4 DVD set. 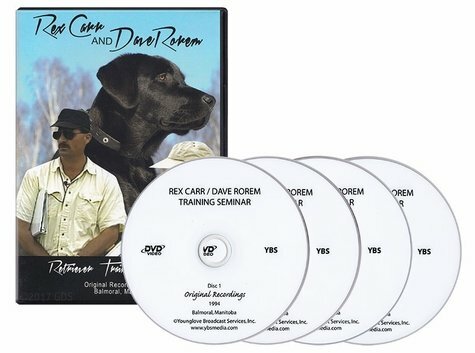 Carr is the father of modern retriever training. 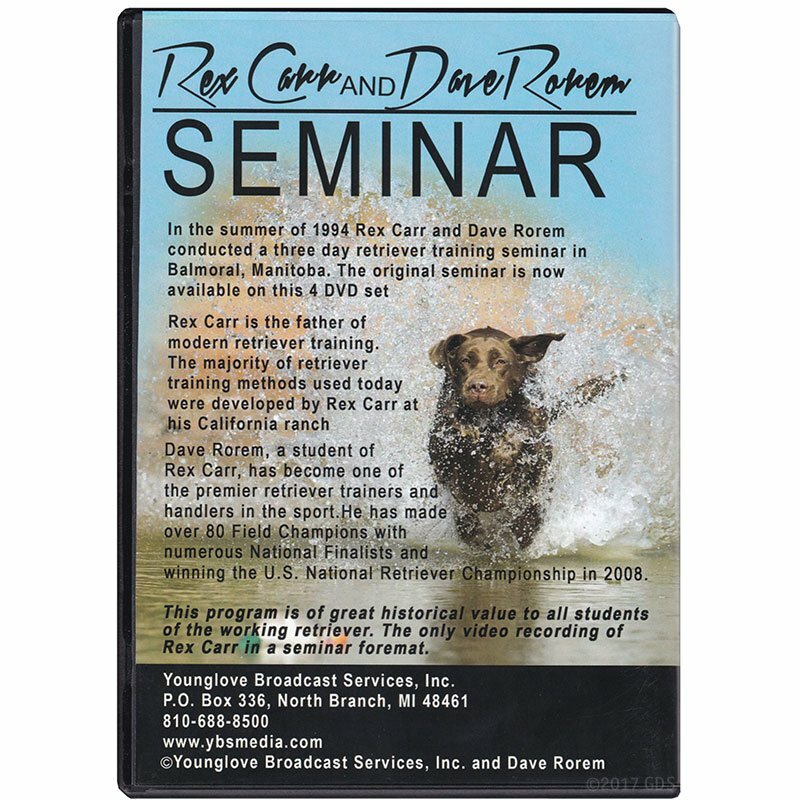 The majority of retriever training methods used today were developed by Rex Carr at his California ranch. Dave Rorem, a student of Carr's, has become one of the premier retriever trainers and handlers in the sport. He has made more than 80 Field Champions with numerous national finalists and won the U.S. National Retriever Championship in 2008. This program is of great historical value to all students of the working retriever. The only video recording of Rex Carr in a seminar format.